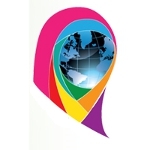 World Hijab Day is an annual awareness campaign held to foster religious tolerance and understanding. It was launched in 2013 by Nazma Khan, a New York resident. A hijab is a veil covering the head and chest. Many Muslim women beyond the age of puberty wear it as a form of modest attire. They are typically required to wear hijab in the presence of adult males who do not belong to their immediate family. Hijab is misinterpreted in some countries around the world, being perceived as a method of oppression. Misinterpretation of hijab leads to the ill-treatment of women who wear hijab. Some countries even go as far as to ban wearing hijab in public, which violates the freedom of hijabi women to express themselves. Nazma Khan experienced discrimination due to wearing hijab after the September 11 attacks. She decided to create World Hijab Day in order to fight the stereotypical judgment of hijabi women. On February 1, non-Muslim women and Muslim women who do not wear hijab are encouraged to experience hijab for one day. Khan promotes World Hijab Day using social networking sites. The campaign has already drawn the attention of people from over 140 countries. It has been supported by celebrities, politicians, and scholars and covered by mainstream media.